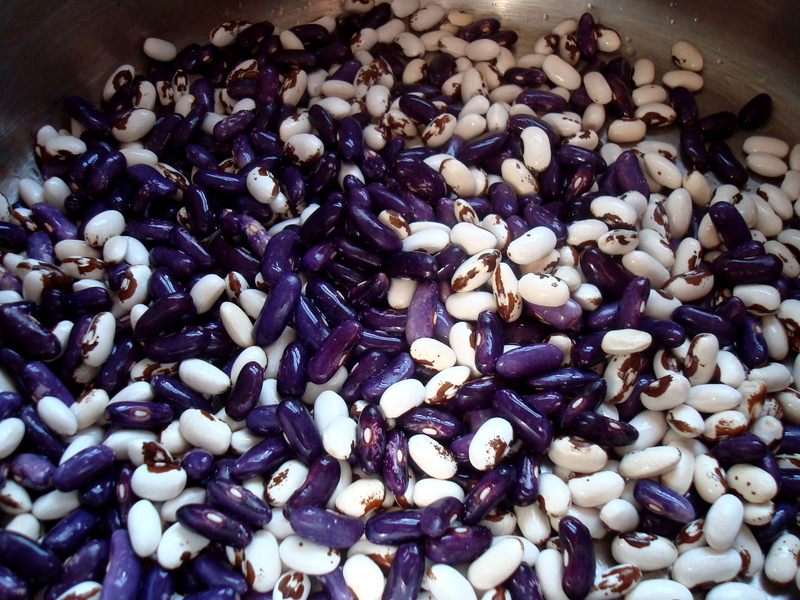 Kronis Purple and Moon Beam chili beans from nearby Matt-Cyn Farms. It’s been wicked cold, windy and usually dry (until today) in Oregon this week. You want to stay huddled under the covers, wear a hat and gloves even in the house when you emerge and eat steamy soup for dinner. So a hearty batch of refreshingly vegetarian soup we cooked up this week. 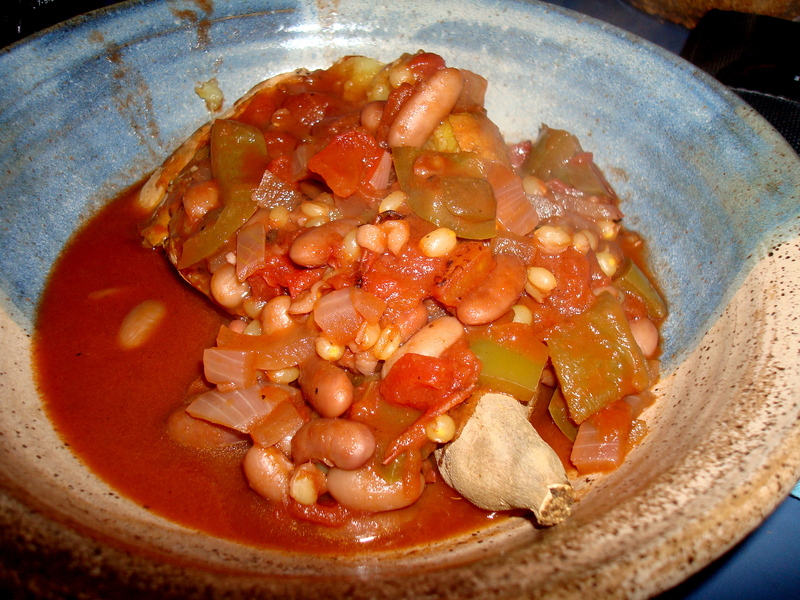 I first made this Wheat Berry Chili recipe from the Ten Rivers Food Web last year. It’s not the most flavorful or unusual chili I’ve ever had, but it’s a great canvas on which I could showcase the locally grown wheat from Stalford Seed Farms and for the first time, locally grown dried beans lovingly raised by the husband-wife team behind Matt-Cyn Farms. Matt and Cyndie grow a rainbow of 20-plus varieties of heirloom beans, including the Moon Beam chili ones and Kronis Purple kidney shaped ones that I used in the soup. Another secret ingredient: I substituted some spoonfuls of semi-sweet chocolate chips for the cocoa power the soup’s recipe called for. It’s not that far-fetched when you think of spicy chocolate mole sauces and the fact that most chili recipes feature a tiny bit of cocoa. But I can’t claim credit for the idea. I conveniently heard Nigella Lawson talking up such a recipe on NPR. The chips imbued the soup with creamy flavor that remained subtle, not in your face. Things did get a bit too spicy with the addition of jalapeno peppers I didn’t de-seed enough. It’s amazing how much pepper to pepper varies in heat. I’ll post the simple recipe here tomorrow, as I’m now nodding off to sleep. 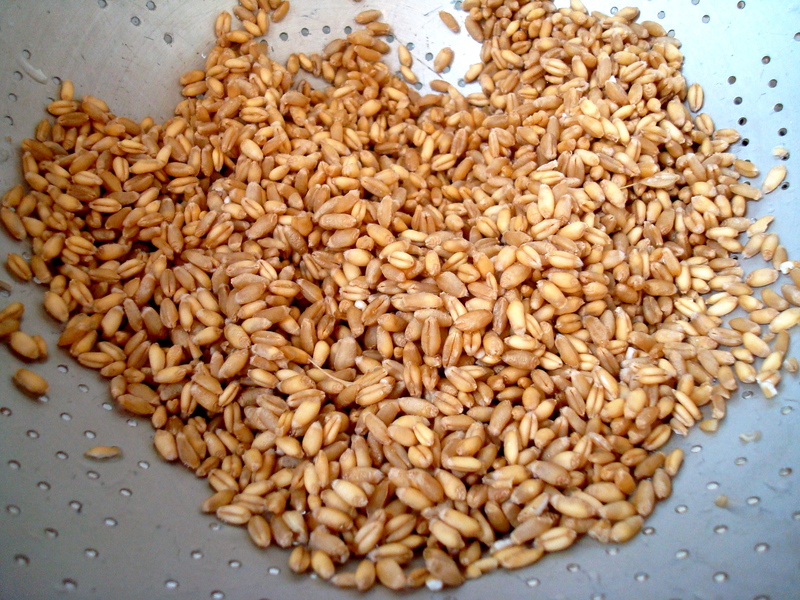 But considering the warming pleasure of barley-like wheat berries and dried beans, especially if local farms are selling these crops in your area.